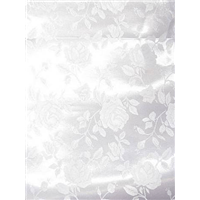 BRIDAL FABRICSolid White Tone on Tone Floral Satin Jacquard FabricStunning as a Dress, a Shawl, or even Bridal Decor.1 YARD MINIMUMThis item is a special ordered fabric that can take 2-5 business days to arrive before it can ship out. We can not guarantee dye lots on reorders, sorry. This fabric is subject to a restocking fee if returned. 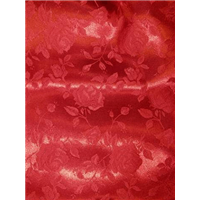 BRIDAL FABRICSolid Red Tone on Tone Floral Satin Jacquard FabricStunning as a Dress, a Shawl, or even Bridal Decor.1 YARD MINIMUMThis item is a special ordered fabric that can take 2-5 business days to arrive before it can ship out. We can not guarantee dye lots on reorders, sorry. This fabric is subject to a restocking fee if returned. 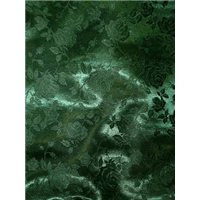 BRIDAL FABRICSolid Hunter Green Tone on Tone Floral Satin Jacquard FabricStunning as a Dress, a Shawl, or even Bridal Decor.1 YARD MINIMUMThis item is a special ordered fabric that can take 2-5 business days to arrive before it can ship out. We can not guarantee dye lots on reorders, sorry. This fabric is subject to a restocking fee if returned. 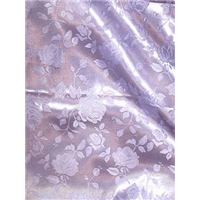 BRIDAL FABRICSolid Lilac Purple Tone on Tone Floral Satin Jacquard FabricStunning as a Dress, a Shawl, or even Bridal Decor.1 YARD MINIMUMThis item is a special ordered fabric that can take 2-5 business days to arrive before it can ship out. We can not guarantee dye lots on reorders, sorry. This fabric is subject to a restocking fee if returned. BRIDAL FABRICSolid Yellow Tone on Tone Floral Satin Jacquard FabricStunning as a Dress, a Shawl, or even Bridal Decor.1 YARD MINIMUMThis item is a special ordered fabric that can take 2-5 business days to arrive before it can ship out. We can not guarantee dye lots on reorders, sorry. This fabric is subject to a restocking fee if returned. 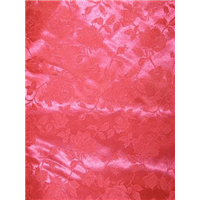 BRIDAL FABRICSolid Coral Tone on Tone Floral Satin Jacquard FabricStunning as a Dress, a Shawl, or even Bridal Decor.1 YARD MINIMUMThis item is a special ordered fabric that can take 2-5 business days to arrive before it can ship out. We can not guarantee dye lots on reorders, sorry. This fabric is subject to a restocking fee if returned. 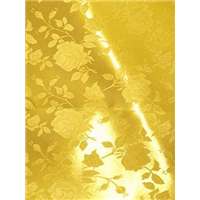 BRIDAL FABRICSolid Gold Tone on Tone Floral Satin Jacquard FabricStunning as a Dress, a Shawl, or even Bridal Decor.1 YARD MINIMUMThis item is a special ordered fabric that can take 2-5 business days to arrive before it can ship out. We can not guarantee dye lots on reorders, sorry. This fabric is subject to a restocking fee if returned. 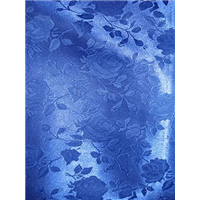 BRIDAL FABRICSolid Royal Blue Tone on Tone Floral Satin Jacquard FabricStunning as a Dress, a Shawl, or even Bridal Decor.1 YARD MINIMUMThis item is a special ordered fabric that can take 2-5 business days to arrive before it can ship out. We can not guarantee dye lots on reorders, sorry. This fabric is subject to a restocking fee if returned. 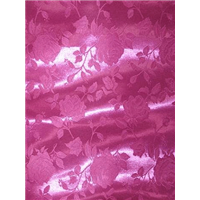 BRIDAL FABRICSolid Fuschia Pink Tone on Tone Floral Satin Jacquard FabricStunning as a Dress, a Shawl, or even Bridal Decor.1 YARD MINIMUMThis item is a special ordered fabric that can take 2-5 business days to arrive before it can ship out. We can not guarantee dye lots on reorders, sorry. This fabric is subject to a restocking fee if returned. 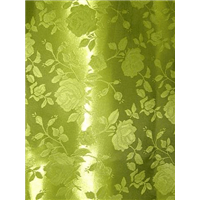 BRIDAL FABRICSolid Lime Green Tone on Tone Floral Satin Jacquard FabricStunning as a Dress, a Shawl, or even Bridal Decor.1 YARD MINIMUMThis item is a special ordered fabric that can take 2-5 business days to arrive before it can ship out. We can not guarantee dye lots on reorders, sorry. This fabric is subject to a restocking fee if returned. 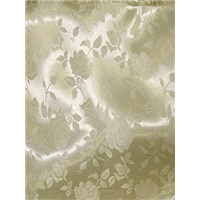 BRIDAL FABRICSolid Ivory Tone on Tone Floral Satin Jacquard FabricStunning as a Dress, a Shawl, or even Bridal Decor.1 YARD MINIMUMThis item is a special ordered fabric that can take 2-5 business days to arrive before it can ship out. We can not guarantee dye lots on reorders, sorry. This fabric is subject to a restocking fee if returned. 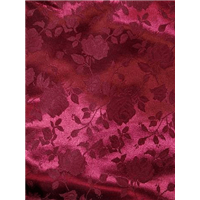 BRIDAL FABRICSolid Wine Tone on Tone Floral Satin Jacquard FabricStunning as a Dress, a Shawl, or even Bridal Decor.1 YARD MINIMUMThis item is a special ordered fabric that can take 2-5 business days to arrive before it can ship out. We can not guarantee dye lots on reorders, sorry. This fabric is subject to a restocking fee if returned. 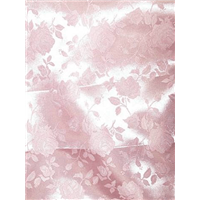 BRIDAL FABRICSolid Pink Tone on Tone Floral Satin Jacquard FabricStunning as a Dress, a Shawl, or even Bridal Decor.1 YARD MINIMUMThis item is a special ordered fabric that can take 2-5 business days to arrive before it can ship out. We can not guarantee dye lots on reorders, sorry. This fabric is subject to a restocking fee if returned. 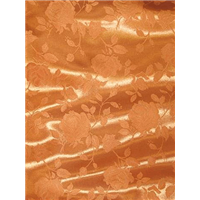 BRIDAL FABRICSolid Orange Tone on Tone Floral Satin Jacquard FabricStunning as a Dress, a Shawl, or even Bridal Decor.1 YARD MINIMUMThis item is a special ordered fabric that can take 2-5 business days to arrive before it can ship out. We can not guarantee dye lots on reorders, sorry. This fabric is subject to a restocking fee if returned. 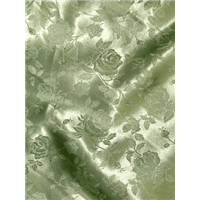 BRIDAL FABRICSolid Sage Green Tone on Tone Floral Satin Jacquard FabricStunning as a Dress, a Shawl, or even Bridal Decor.1 YARD MINIMUMThis item is a special ordered fabric that can take 2-5 business days to arrive before it can ship out. We can not guarantee dye lots on reorders, sorry. This fabric is subject to a restocking fee if returned. 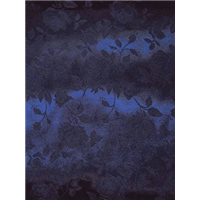 BRIDAL FABRICSolid Navy Blue Tone on Tone Floral Satin Jacquard FabricStunning as a Dress, a Shawl, or even Bridal Decor.1 YARD MINIMUMThis item is a special ordered fabric that can take 2-5 business days to arrive before it can ship out. We can not guarantee dye lots on reorders, sorry. This fabric is subject to a restocking fee if returned.